They‘ ve constructed this museum for a very long period of time and slowly I became more and more curious, even if I stayed very critical against a Museum about military history. 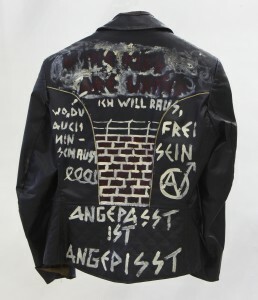 But now after I got some informations about this completely new Museum about Military History my feeling became more and more positive (I also heard that Nazis avoid the new Museum, which is very good!). The exhibitions about war in its history changed to a modern and very critical point of view. Daniel Libeskind is one of the most important architects of the 21st century. 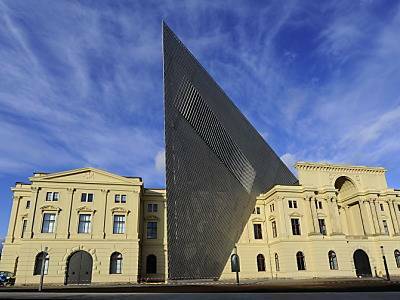 The huge metall wedge, which pops into the new renovated historical building joins the ranks with worldwide known Libeskind- museum, like the Jewish Museum in Berlin or the Imperial War Museum in Manchester. The museum is closed on Wednesday. the entry is free till the end of this year.